The annual United Nations Framework Convention for Climate Change began yesterday in Bonn, Germany to discuss how to manage the scientific phenomenon of a changing climate and the effects it has on the Global South and women. The conference will feature a multitude of meetings and workshops ranging from early warning systems in relation to extreme weather to the effect of climate change on indigenous peoples. The conference, which takes place until June 11, will also have a series of workshops on gender-responsive climate policy and how climate change affects men and women differently. The aim of the workshops is to bring a gendered perspective on aspects of controlling climate change, such as finances and technology. The impacts of climate change around the world disproportionately affects women, from water accessibility to increased violence in the wake of natural disasters. The consequences of human damage to our planet are felt worst by women and girls, and can lead to health problems, victimization, and long-lasting economic and environmental problems for entire nations. The UNFCCC reports that women make up 70% of the world’s poor and often live in countries that are less prepared to handle climate change. Although faced with a larger share of the burden of climate change, women are often simultaneously in distinct positions to create change. “Women are predominately responsible for food production, household water supply, and energy for heating and cooking,” the UNFCCC states, giving them a unique perspective for contributing to policy-making efforts in combatting this problem. “Particularly in rural areas, [women] are the ones who can adopt some important measures necessary to stop climate change,” said François Richier, the French Ambassador to India. France is preparing for the United Nations Climate Change Conference later this year by organizing events such as The International Day of Action for Women’s Health. 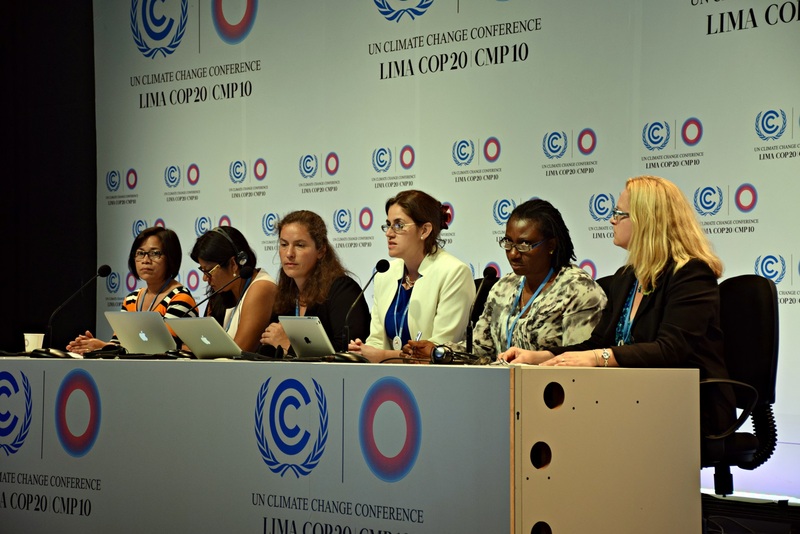 Last year in Lima, Peru, the UNFCCC and multiple advocacy groups organized Gender Day to discuss “women’s leadership roles in climate action.” UN-level panelists and grassroots activists came together to reflect on how women’s perspectives can contribute to the climate change efforts. Featured at this event was the Global Gender and Climate Alliance, a partnership that combines climate finance, women’s leadership, and advocacy to educate and enact change in poor areas.